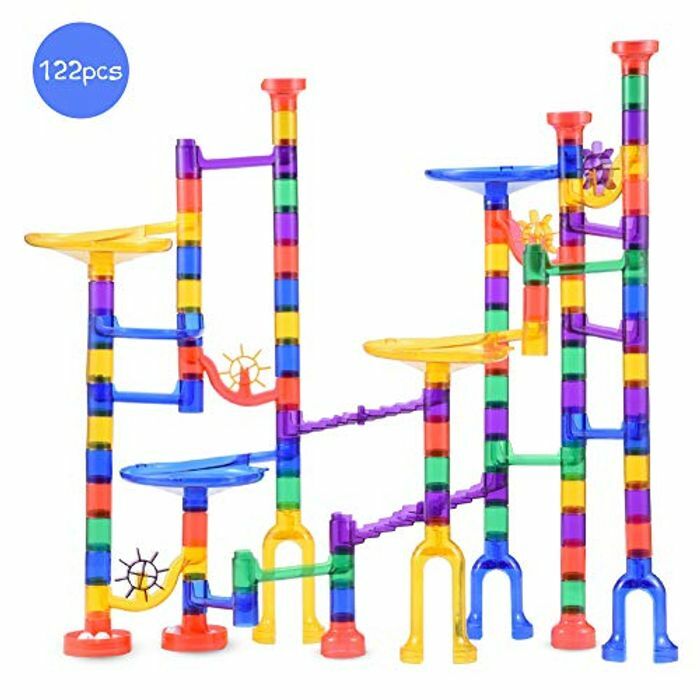 How to play Marble Run toy set? Assemble the track and place the marbles into the chute, which will flow down through the carousel, windmill, S-curve, and U-turn chute. Different shapes have different sliding tracks. The building blocks of this Marble Run Toy Set are translucent, allowing you to see the marbles from top to bottom in the building, which brings a lot of fun to the game. More interesting is the process of track construction. It is easy for children and adults to assemble solid plastic parts into models. The Marble Run Set has unlimited possibilities, and children can assemble it from simple to complex models according to their imagination. By assembling various models, children can improve their cognitive development of color and develop their creativity and ability to operate. Marble Run Set also trains your child's brain-hand combination and structural space imagination. Parents can also participate in it and teach in play, which is a very good parent-child interactive toy. I tried ordering this 15min ago, amazon took it out of my basket when I went to pay, into the "save for later" as apparently put of stock even though listing said 4 left. Now this is a great little deal for the youngest nephew for xmas. Thanks Pete. Says currently unavailable, shame I missed it as looks great. Will keep checking. 15 Pairs Grey Ribbed School Socks - under 44p for Each Pair!